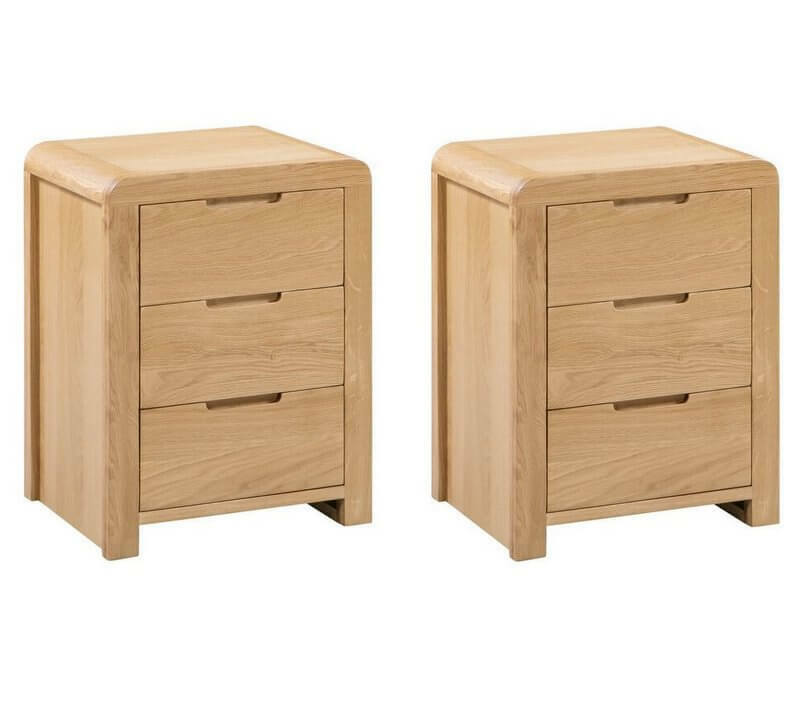 Add a modern feel to your bedroom with these charming bedside tables. 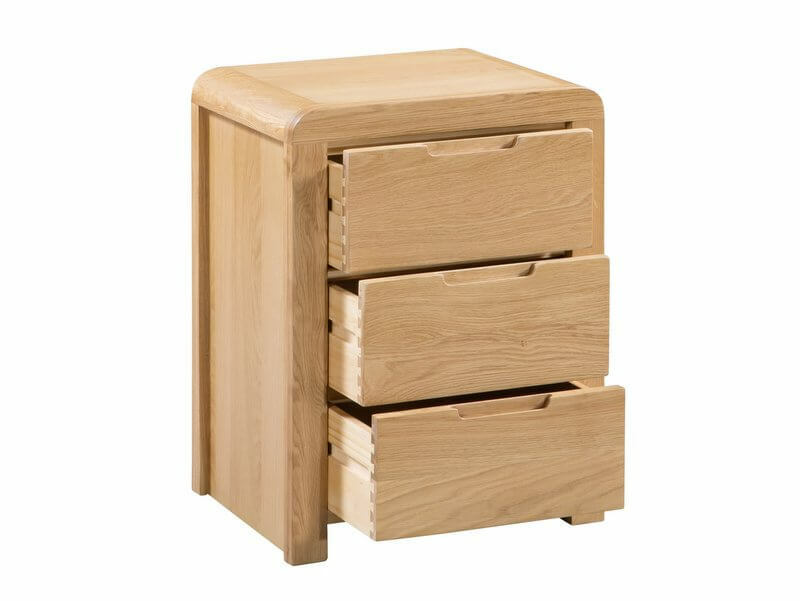 Three drawers in each are great for keeping items within hands reach of your bed. 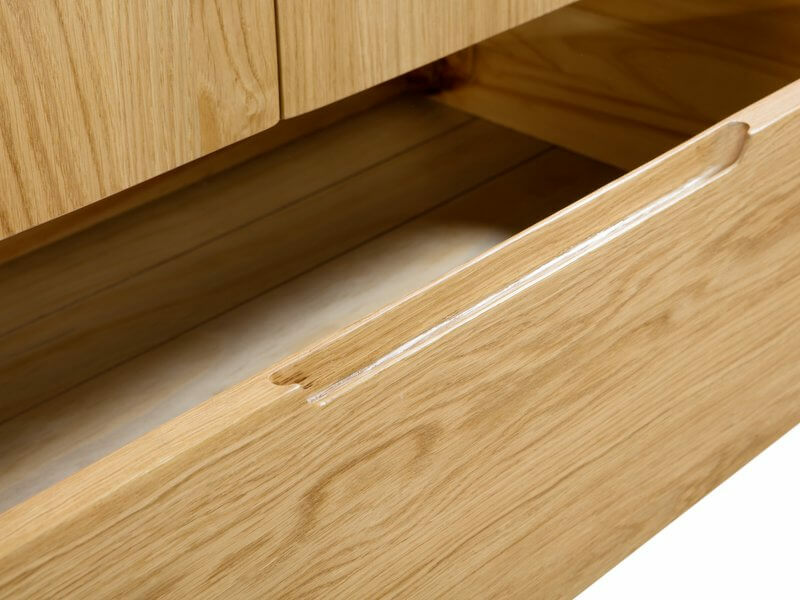 Recessed handles add to the modern feel and enable easy opening. Gently curved edging give this furniture range a signature style. 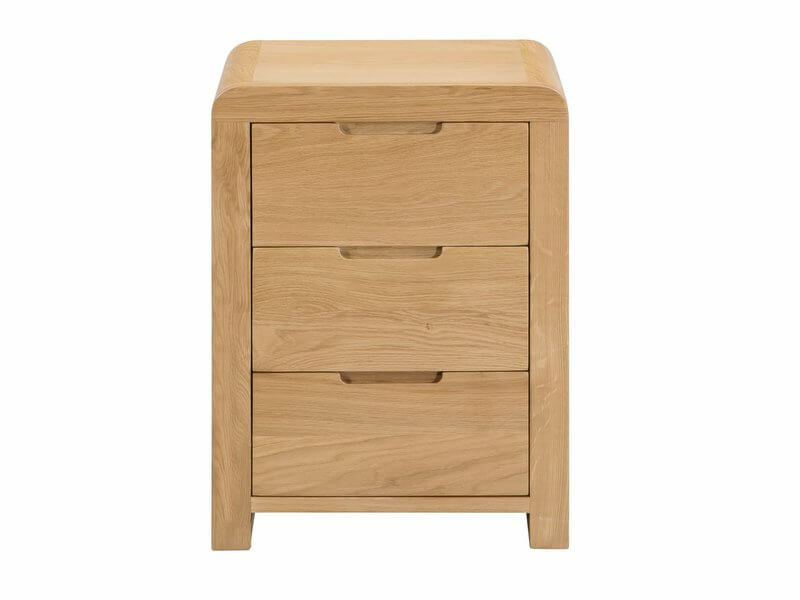 Crafted from solid white oak and real oak veneers. 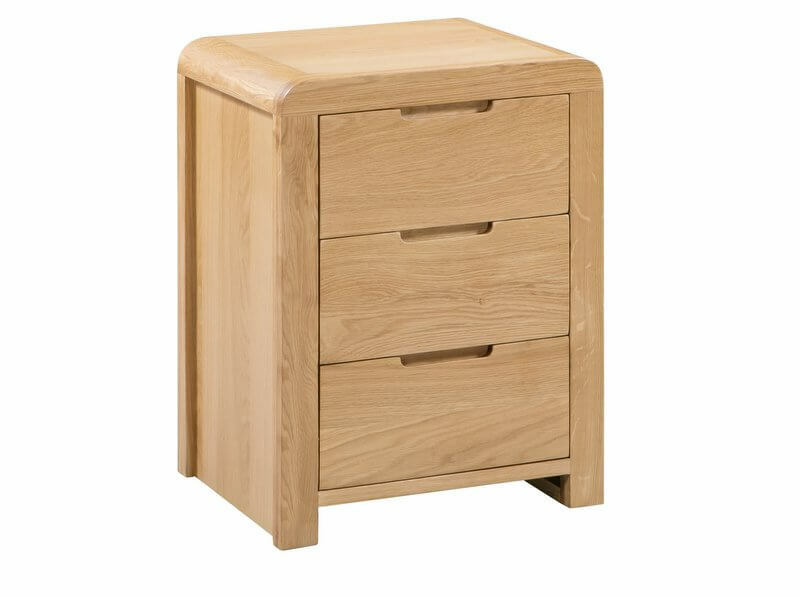 Built to last with dovetail drawer joints. Delivered fully assembled ready for you to unpack and enjoy. 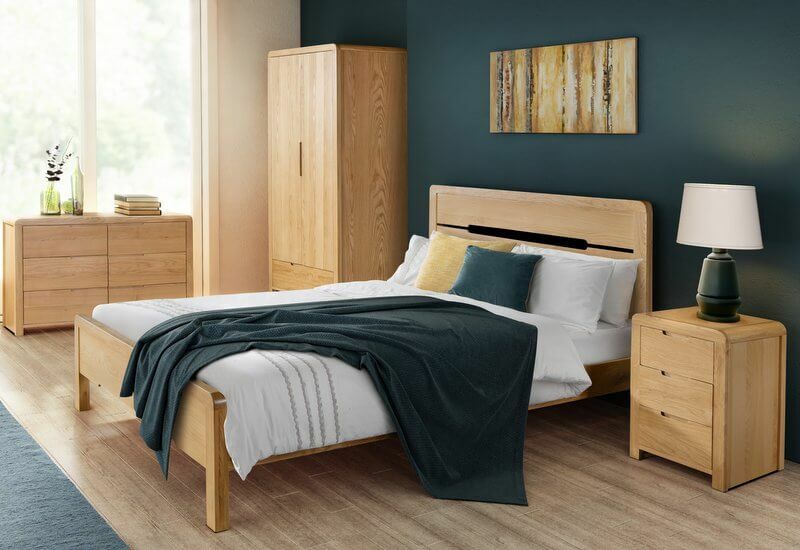 Part of the Curve waxed oak furniture range.